This is the second book in the Barbara Pym centenary readalong. I started it a few days early – I’m rebellious like that, and finished yesterday after work, with a smile on my face. This was the first Barbara Pym novel that I ever read, and I so enjoyed it, that I was really looking forward to re-reading it. I wasn’t at all disappointed, in fact I may have loved it even more this time around. This was Barbara Pym’s second novel to be published in 1952. Like Some Tame Gazelle much of the novel centres around the high Anglican Church community and people associated with it. The first person narrator is Mildred Lathbury, the daughter of a clergyman, brought up in a country vicarage she is unmarried in her thirties (this is the 1950’s so that’s fairly definitely spinsterish) she lives in a small flat with a shared bathroom close to the Anglican church that she regularly attends. Also living close by are Father Malory a high Anglican priest who it would appear doesn’t believe in clergy marrying, which many people think a pity – that Mildred would have done very well for him. With Julian Mallory lives his sister Winifred. Julian and Winifred are Mildred’s closest friends. Mildred is apparently one of those “excellent women” who are always available to do good works, help at jumble sales, offer advice, and never marry. When new neighbours move into the flat below Mildred it opens new horizons for her. The Napiers are rather different; Rockingham Napier has just come out of the Navy and is on his way home from Italy, while his wife Helena, an anthropologist gets the flat ready. Helena is happy to announce that she doesn’t go to church, and talks to Mildred in a way Mildred is unused to. At first Mildred is rather unsure of Helena, not sure she likes her, while she seems to get on well with practised charmer Rockingham. Through Helena Napier Mildred comes to meet Everard Bone, another anthropologist who spends quite a bit of time at the Napier’s flat. The arrival of these people in Mildred’s life heralds further changes. The attractive widow of a clergyman moves into the flat at the top of the Mallory’s house. With the alarmingly named Allegra Grey come speculation and just a little gossip – among the good women of St. Mary’s. Mildred meanwhile has entered into a slightly peculiar friendship with the Napiers and eventually Everard Bone, as they let her in on their problems, ask her advice and come running up and down to Mildred’s flat with surprising frequency. I am not going to say any more about the plot of this lovely novel – as I know there are a lot of people reading Barbara Pym this year for the centenary – and I don’t want to inadvertently give spoilers. 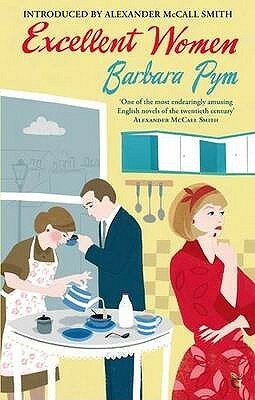 Barbara Pym’s writing is brilliant, and this is a wonderfully funny and touching story. I must admit to having been brought up in a vicarage – a Methodist one – I don’t practise any religion now – but being brought up with church, jumble sales and morning services are part of my background so I loved the details of jumble sales and endless cups of tea. It made me a little nostalgic, I laughed at the thought of Father Julian using an old cassock to help do some decorating in. My father would never have done that – I seem to remember they are quite expensive and so I’m fairly sure he never had more than one – and that was only ever worn on Sunday morning. If my father had got involved with decorating – he would have worn an old Harris check shirt and brown cords – rather baggy in the bum. Yet I loved the images of those middle aged ladies and the jumble sales, the flowers and who was to do what “Oh how true, how true” I cried – and actually not so very different to the English Methodist church in the 1970’s and 80’s when I was growing up. This is a delightful novel, witty and actually quite hard to put down. I found it an utter joy, and look forward to hearing what other Pym readers think of this one, whether it’s their first reading of it – or their umpteenth. Let me know if you’ll be reading Excellent Women for our February read a long and if you do – stop by and let me know what you think. There was a time when I devoured many, many Trollope novels, I loved them. The famous Barchester chronicles are maybe his best known, understandably so for they are brilliant. The Warden is the first of those chronicles, and a novel I had remembered well. I am pleased to say therefore I still love it as much after this re-read. 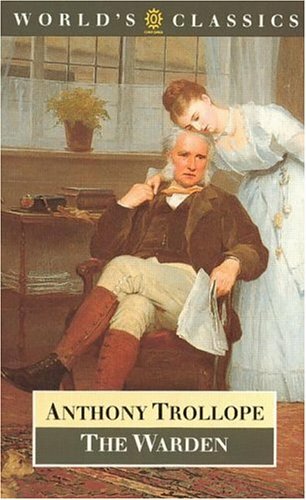 I gobbled it up in no time, as it is probably the shortest of Trollope’s novels, many of them actually being quite thick. Septimus Harding, the warden of the title is a kind hearted old clergyman. For ten years, as the story begins, this good old Anglican priest has been the warden attached to an alms-house the Barchester hospital, which was set up under the terms of a will in the fifteenth century to provide comfort and shelter for twelve old single working men who without such charity would starve. The old men are thus well provided for, being well fed and comfortably sheltered, and having in addition 1 shilling and fourpence a day for all other wants they might have. In four centuries the value of this bequest has risen considerably – and so the stipend of the warden is now considerably more than it would have been originally. John Bold, a young friend of Mr Harding’s and suitor for his youngest daughter’s hand in marriage, fancies himself something of a reformer, and takes it upon himself to exposing what he sees as an abuse of privilege. The old men are now in receipt of an extra twopence a day – a gift from Mr Harding out of his own money, that he is not obliged to provide them with, however the reformers talk has unsettled them and some of the old men begin to believe they will soon be each able to claim £100 a year (a considerable sum in the 1850’s). Having been previously very well satisfied with their lot, as well as extremely fond of Mr Harding who has become a dear and true friend to the old men, there are now dissenting voices quick to believe that the warden is receiving money he should not. A couple of the old men are loyal to Mr Harding and refuse to believe him to in way wrong, but they are shouted down by their friends – who persist in believing in the miracle of £100 a year. The warden has two daughters, his eldest daughter is married to the archdeacon, Dr Grantly a rather terrifying figure – who is always certain he is right and a little given to bullying his father in law who is a quiet gentle man and really not up to battling his fierce son in law. Dr Grantly is naturally on the side of his father-in-law as the law suit gets underway. His opinion in non-negotiable – the idea that the warden’s stipend is unjust or illegal is ridiculous to him, even the possibility that the case should go against them Dr Grantly believes will damage the church of England forever. The warden’s closest friend the bishop is Dr Grantly’s father – and even he is rather bullied by Dr Grantly, though he at least has some understanding of Mr Harding’s pain. For Mr Harding is unsure, now that the question has been raised poor Mr Harding doesn’t know if his position is right or not. The doubt is enough to drive the poor man to absolute misery. He is a good and honest man, rather bad at managing his money and very bullied by his son in law, he has always been a popular friend to all, so now he feels he can’t just carry on in the face of criticism – he begins to feel that maybe the wardenship is unjust. What I love about the ‘The Warden’, aside from the lovely old warden himself – who is just such an endearingly lovable character – is Trollope’s use of irony. The reformers who say they want to improve the lot of the old bedesmen of the Barchester hospital – can’t foresee what will happen to the hospital or to the old men concerned – but the reader fears straight away for their future. Their lives so comfortable at the start – an honest old friend and clergyman who cares dutifully and faithfully for them, a little money in their pockets, a good roof above their heads and food in their stomachs – how will they fair when lawyers, journalists and senior churchman start wrangling? There is always a little romance in an Anthony Trollope novel, and here of course we have the story of Eleanor Harding and her love for John Bold, the man who really sets the cat among the pigeons. Trollope was concerned with the motivations of people, and of social morality – something many Victorian novelists concerned themselves with – and he uses the quite political story of the warden to do so. The Warden brilliantly presents both sides of the matter – therefore the reader, like Mr Harding himself is unsure of the rightness of the case, there is sympathy for both Mr Harding a truly innocent man, but also sympathy for the old men, and the intentions of that fifteenth century man John Hiram who left his money to do good. With all the snow and ice around I felt in need of some cosy comfort reading with an added ingredient – sunshine. I may have been sitting in snowy Birmingham feeling very chilled indeed, but my mind at least was transported to the much pleasanter surroundings of a Caribbean island. As so often is the case with these old Agatha Christie novels – I was fairly sure I had forgotten “whodunit” however as the book progressed I did guess who the culprit was – so I wasn’t sure if I had just been clever or whether I was remembering something. It might seem strange to choose to re-read a mystery story – but I think there is something about the nostalgic and cosy nature of Agatha Christie that is perfect for re-reading. Curling up with favourite characters is always comforting – after all you know where you are with Miss Marple. In ‘A Caribbean Mystery’ Miss Marple is enjoying a well-earned rest on the Caribbean island of St. Honore – although finding things maybe just a little too quiet. One day Miss Marple is sat talking to another guest at the hotel Major Palgrave. Poor old Major Palgrave is something of a bore – rattling on endlessly he tells the same stories over and over to anyone who has his attention for a short time. As Major Palgrave talks about his years in India, Miss Marple finds her attention wandering; she’s not really listening, as the Major switches stories to talk about murder. The Major reaches into his wallet to show Miss Marple a picture of a murderer but is interrupted. Suddenly the Major has changed the subject – and the following day he is dead. Good old Miss Marple – she is soon on the case – she knows when something isn’t right. More deaths occur – one is rarely enough for Mrs Christie – and the redoubtable Miss Marple in cahoots with the wealthy Mr Rafiel sets out to discover the truth about her fellow hotel guests. There have been over the years many differing TV adaptations of Miss Marple stories. I have to say I have enjoyed them all very much, the more recent Miss Marple incarnations played by Gereldine Mcewan and Julia Mackenzie were great. Each of those excellent actresses brought something different to the role, however neither of them were the real Miss Marple for me. There can only be one real Miss Marple on the screen – the marvellous Joan Hickson. Thinking about Joan Hickson – who played Miss Marple in an adaptation of A Caribbean Mystery on TV – reminds me of my Dad strangely enough. He hated Joan Hickson’s Miss Marple – she drove him to distraction, actually driving him from the room while we watched. He found her irritatingly simpering and nosey. Of course that irritating old lady routine was what made her such a genius. I have to admit that I have always been slightly more of a Poirot fan than a Marple fan – but I thoroughly enjoyed catching up with her again – and the setting of this particular novel was an added attraction. Written in the 1960’s and set on a Caribbean island there are, maybe unsurprisingly, a few wincey un-pc moments – some of the language is unfortunate rather than very offensive. I try to accept these things in novels as being true to the times in which they were written and of the people who were writing them. 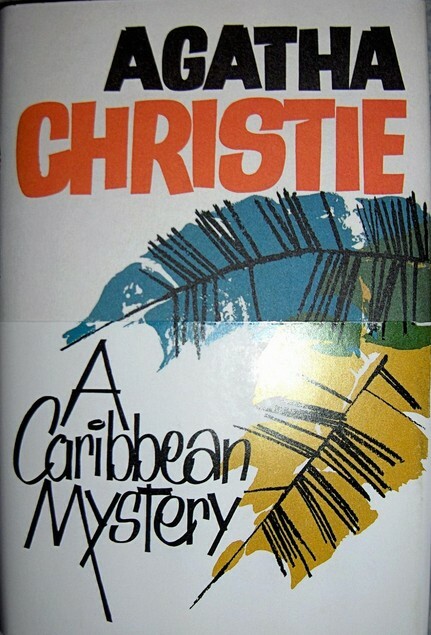 Still ‘A Caribbean Mystery’ is a good old fashioned cosy mystery – probably not among Agatha Christie’s best – the plot is fairly thin and the culprit easily guessed at – still for me even a poor Agatha Christie novel is a good read. I chose to read this Bronte novel for my month of re-reading – mainly because I hadn’t much memory of it. I remembered being impressed with the controversial nature of the story – controversial of course for the times in which it was written. The story is that of Helen Graham/Huntingdon married to a man who proves to be a drunken bully and adulterer. Fearful of the effect of such a man upon her son she flees her marriage taking her young son with her, setting up home under an assumed name. The story is told in three parts. The first part of the story is told by Gilbert Markham, a young man who comes to meet the new tenant of Wildfell Hall, an apparently beautiful young widow, living in inexplicable solitude with her young son and a trusty old servant. Helen lives quietly but is obliged to make herself known a little to the local community who are soon intrigued by their mysterious neighbour. The vicious local gossips soon do their worst much to Gilbert’s fury, as he has fallen in love with Helen. 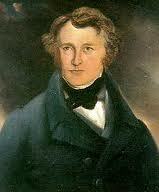 The second part story is that of Helen’s marriage told through her diary that she intrusts to Gilbert Markham. This is the longest section of the novel, the story of Helen’s courtship, marriage and the gradual breakdown of her marriage to a selfish, drunken bully, is surprisingly readable still. During this section Anne Bronte has much to say about marriage, highlighting how for women marriage was life changing in a way it wasn’t for men, how when they married they effectively handed over their entire future happiness to their husbands as they no longer retained any control over it. The final part of the story is again told by Gilbert Markham, who now being fully cognisant of Helen’s story has to content himself with second hand news of Helen as she leaves Wildfell Hall . 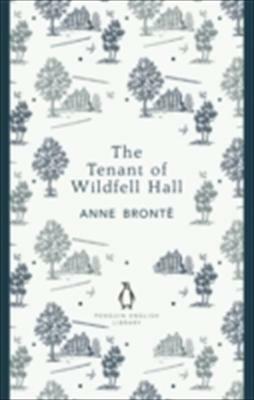 What is particularly fascinating about this novel however is how Anne Bronte came to write it. Anne, the youngest of the famous Bronte sisters was always of delicate health and in fact died just one year after writing this novel. 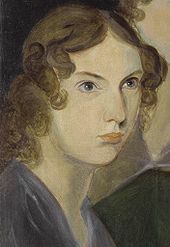 She twice found positions as a governess, the first of those positions influenced her writing of Agnes Grey, and her second miserable position was her influence for The Tenant of Wildfell Hall. This position was to the daughters of the Reverend Robinson at Thorp Green Hall – a place where for four years Anne was apparently deeply unhappy. She stayed however for the sake of her brother Branwell, for who she was able to help secure the position as tutor to the Robinsons son. However Branwell embarked upon an affair with his employer’s wife, and when the affair was discovered he was cast out and disgraced, and in his misery turned to drink and opium which eventually killed him. Branwell had believed himself in love with Mrs Robinson and that she returned his feelings, however when her husband died she clearly had no thought of marrying her former lover but instead re-married a wealthy and titled man. In the novel Arthur Huntingdon is selfish unpleasant character, totally without conscience – he is certainly not Branwell for Branwell although deeply flawed was not without heart – so we are told by Winifred Gerin at least in the afterword to this edition. Certainly I felt that it is the women in Anne Bronte’s novel who come in for just as much criticism as the selfish dissolute men who make up Arthur Huntingdon’s social circle. The gossiping nasty malicious women who destroy Helen Graham’s reputation are horribly realistic, while the artful Annabella Lowborough who conducts an affair with Arthur Huntingdon under Helen’s own roof with no conscience whatsoever is really quite monstrous. Interestingly none of these women find real happiness. This is certainly a novel of its time, in the 1840’s when Anne Bronte was writing; a married woman and her child belonged absolutely to her husband. She had no rights as we understand them today. The idea of a wife leaving her husband, taking their child and living in seclusion under as assumed name, was one quite shocking to many people in the 1840’s. One of the things that most concerned Anne’s character of Helen Huntingdon, just as it would have concerned Anne Bronte as she saw her brother’s descent into degradation, was the question of his soul. The belief that only a last minute redemption could save a sinner from eternal damnation was something which tortured both Anne and Helen. Miss Pettigrew approaches middle age as a failed governess, position after position has ended in failure and she goes to the employment agency in fear and trembling of being turned away. She is desperate for a new position; a new position is, she fears, the one thing which stands between her and the workhouse. When the lady at the agency mixes up two possible positions, and sends nursery governess Miss Pettigrew after a position as a ladies maid to a glamorous nightclub singer, she inadvertently changes Miss Pettigrew’s live forever. Nervous, dowdy Miss Pettigrew is immediately swept up by Delysia LaFosse, treated as a trusted confident and friend. Delysia LaFosse is a glorious creature in a diaphanous negligee, who puts Miss Pettigrew in mind of the stars of the cinema she secretly loves. People come to call at the flat; each time the doorbell rings it seems to herald things happening. Miss Pettigrew is thrilled, never has she seen and heard such things in her life before. As the day progresses Miss Pettigrew – Guinevere – finds herself the dispenser of good sense and advice – almost without realising she is doing it. Delysia LaFosse is a in a bit of a mess with her love life, having three men dangling only one of which Miss Pettigrew approves, and only one of who Delysia cares for, and Miss Pettigrew sets about paving the way for him. Meanwhile she meets Miss Dubarry – the owner of a beauty parlour, who soon sets about transforming Miss Pettigrew into a creature she barely recognises. Having drunk sherry, dispensed with unsuitable males, and been transformed by Miss Dubarry Miss Pettigrew accompanies her new friends to an afternoon cocktail party, slightly scandalised by the young ladies jumping in and out of taxis without a thought, she follows delightedly. Miss Pettigrew is a surprising hit with the glamorous young people around her, who have been told that Miss Pettigrew is a marvellous new mimic destined for great things on the stage. Miss Dubarry is in the midst of an unhappy love affair herself, and Miss Pettigrew sets about smoothing the way for her with Tony, who gives Miss Pettigrew a rather fiery drink that threatens to knock her off her seat. Later Miss Pettigrew accompanies Delysia to the nightclub where she is a singer, nightclubs were places previously only glimpsed on the silver screen, and poor Miss Pettigrew is very excited to see inside one. While at the nightclub two of Delysia’s suitors square up to one another bringing everything to a head with more than a nudge from Miss Pettigrew. However Miss Pettigrew’s magical day as not yet ended – and here she meets and dances with Joe Blomfield a no-nonsense middle aged man who is immediately taken with Miss Pettigrew. Miss Pettigrew lives for a day I know is one of Persephone’s most popular titles. It is easy to see why; this is a fairy-tale for grown-ups. 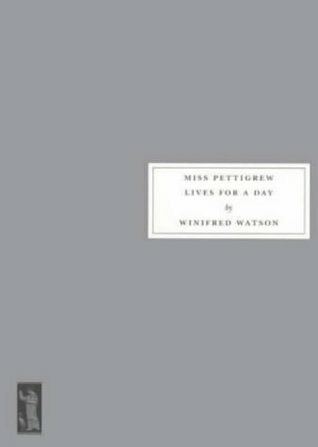 Miss Pettigrew is a sad and desperate figure at the beginning of the book, her fear, poverty and desperation very real, and completely at odds with the frivolous frothy tone of the rest of the novel. Some delightful original black and white illustrations are included in this Persephone edition which does add something to this overall delightfully cosy read. Having been reading some fairly heavy duty things during this my month of re-reading, this was a delight. 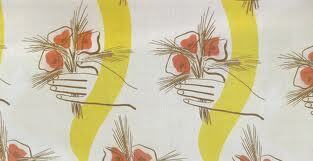 I think that Miss Pettigrew lives for a day – was my very first Persephone book some years ago. 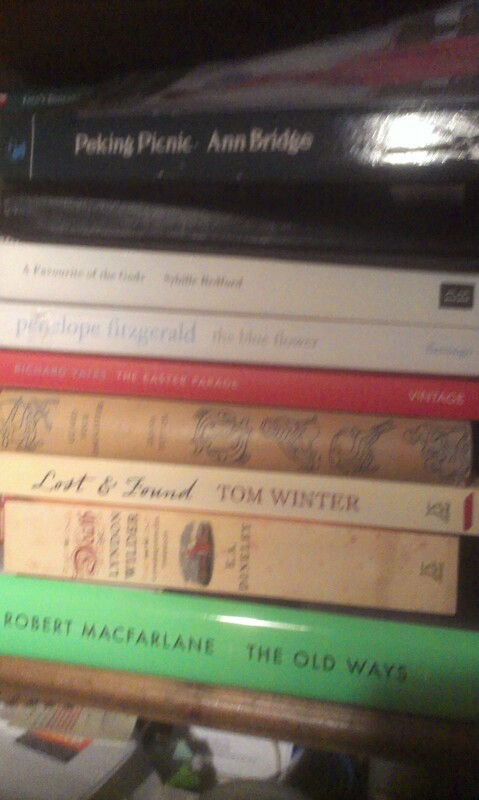 It set me off on a delightful obsession, and introduced me to a wonderful collection of brilliant variety. 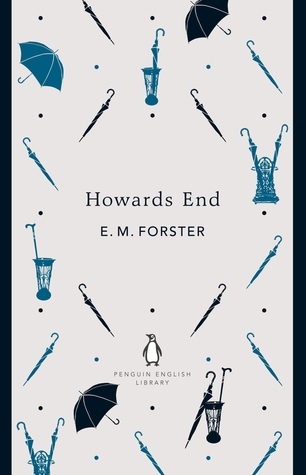 Howards End is quite often described as E M Forster’s masterpiece. First published in 1910 it is the story of the class war in England at the beginning if the twentieth century. The story concerns three families: The Schlegel siblings, Margaret, Helen, and young Tibby well off upper middle class half German intellectuals, the lower middle class Basts, Leonard with his desire for culture and his older disreputable wife Jacky, and the wealthy capatalist Wilcoxes. The Wilcoxes and the Schlegels meet on a holiday in Germany, while Leonard Bast meets Margaret and Helen at a concert, there is a mix up of umbrellas and an exchange of cards. The novel opens as Helen is staying with the Wilcoxes at Howards End, the beautiful farmhouse home which belongs to Ruth Wilcox. When an embarrassing misunderstanding between Helen and the Wilcoxes younger son Paul occurs, Helen’s Aunt Mrs Munt arrives and spirits her back to London. However the association doesn’t end there, when the Wilcoxes take a flat in London right opposite the Schlegel’s house. Ruth Wilcox is gradually drawn into a fragile friendship with Margaret Schlegel – Ruth has a desire to see Howards End lived in by people who appreciate it, as she feels her family doesn’t. Ruth knows that she is dying, and so scribbles down her wish for Margaret Schlegel to inherit Howards End after her death. The piece of paper is sent to her family after her death and of course causes great consternation. Charles Wilcox the eldest bullying son of Ruth and Henry Wilcox is convinced that Margaret wants to do them out of Howards End. It soon becomes apparent however that Margaret knows nothing of the last minute bequest; the family breathes a sigh of relief, and offers Margaret a silver vinaigrette as a keepsake, which she happily accepts. Helen determines to help Leonard Bast and his wife. When a chance conversation between the Schlegel sisters and Henry Wilcox about the company Leonard Bast works for it sets in motion a series of events. Leonard is persuaded – wrongly to give up a secure position, and take up one much less secure, the result is that he is left in a far worse position. For this Helen feels Henry Wilcox responsible, and is unable to forgive him, even when he marries her sister Margaret. Helen becomes determined to help Leonard; however her help has a tragic outcome. Margaret understands Henry and his imperfections, forgiving him an earlier indiscretion that comes to light. However Henry is unwilling to extend this same spirit of forgiveness to his sister in law Helen when she falls victim to a similar indiscretion. It is only at the end of the novel, with his son Charles disgraced, that Henry is able to appreciate the world his wife Margaret has created at Howards End. Howards End was the latest book in my month long re-reading project. It is probably the book I remembered least well of those I had selected to read this month. I remember it as being the first EM Forster novel I read – I then went on to read all the others, my favourite by far and eclipsing all the others was A Passage to India. However I enjoyed reading Howards End so much this time, I might now even prefer it to a Passage of India which I re-read in July. Howards End is a powerful story of class and hypocrisy. My memory of it not being an easy read is understandable, it is not an especially easy read, but I found it enormously readable although it did take me a while to get into it. Several of Forster’s characters are not very likeable, Charles is insufferable, his wife rather ridiculous, Helen is possibly too idealistic, and though she is forced to wake up, she, unlike Leonard doesn’t really suffer for it. Margaret is really the only likeable character, she is practical and sensible, and not shying away from what is difficult she is a cool head, who ultimately manages her family well. Forster’s treatment of Leonard Bast is depressing, yet in his fate it is probably possible to see the realities of the inequalities of society. It is Bast of course who must suffer for the mistakes made by his social superiors. Howards End is still a brilliant family drama, with a stunning sense of time and place.